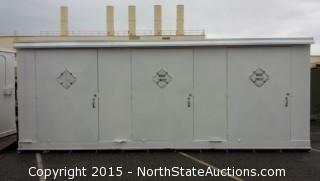 North State Auctions - Classified Listing: BUY IT NOW! At Northstate auctions. Classified Listing: BUY IT NOW! At Northstate auctions. 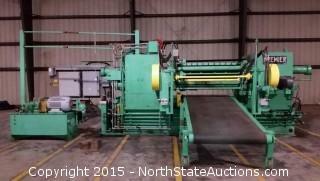 Item #0007 Press Burkle Membrane Press for Wood Veneer Production. 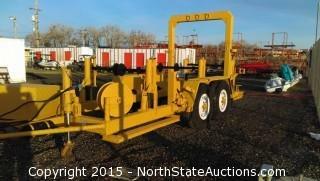 Beautiful 1970 Tandem Axle wire pulling trailer. We cleaned it up with some paint and had our mechanic and hydraulic guys give it the ok. Equipped with like new tires, it is ready to go back to work. What more is there to say? Make an offer today or call Rob at 530.570.9925 with any questions. 6 Door Hazardous Materials unit. Sump Floor, explosion proof lighting and electrical, Blast roof, wet and dry chemical fire Suppression, and Ventilation fan. Designed to store flamable materials, hazardous items, paint, chemical, and other regulated items. 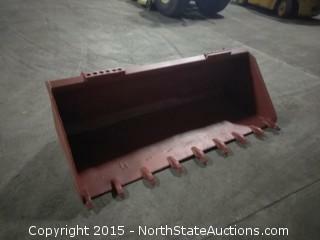 Welded construction, made originally for U.S. Government, lightly used then sold to us. Runs well and puts out excellent power. For immediate sale is a very good condition wood burl lather made by Premier out of Portland Oregon. 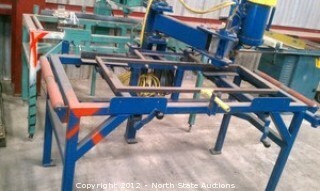 This lathe has recently been in production and is in very good refurbished condition. 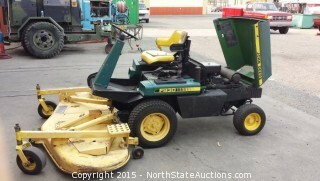 The last owners took very good care of this fine equipment and the condition and care shows. The Lathe has been recently moved so it is not currently under power, but veneer sheets from the last cutting can be inspected. This lathe is ready to work and is very rare to find one for sale, let alone in this fine condition. 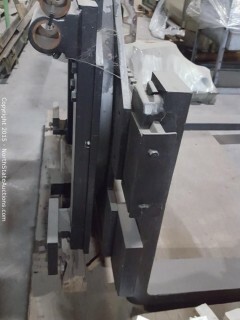 Shear/Clipper for Wood Burl veneer. The condition of this shear is very good. It is very well taken care of. It was used in conjunction with a Premier Gear lather in the productin of wood burl veneer production. Burkle Press used in burl wood veneer production. Powered by a white 6 cylinder, turbo multifuel engine. 10 wheels touching the ground, all powered 6X6. Air locker for front differential. This is a "Door Lite" Over-arm, Swing-arm Router use to cut holes in over-head door panels. The router is 1.5HP, 1725RPM, powered by 115V, 1Ph. This could be used to cut-out holes out on counter-tops as well. 78' x 12' Pressurized rail car storage vessel. 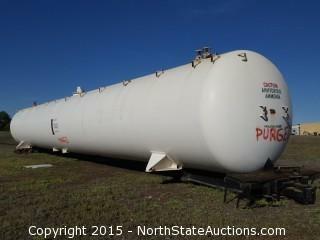 Built in 1962 to rail car standards, this pressurized tank is designed to hold a working pressure of 115 psi. It was last inspected in 2012 and found to be in generally the same condition as manufactured. This tank could also be used to store propane gas. See documents tab above for current inspection document, and other relevant documents about this fabulous tank. This tank is approximately 65000 gallons (by the math). 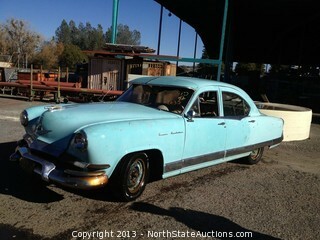 Up for sale is a 1954 Kaiser Manhattan, Sedan with 4-doors and a 6-Cyl. Take a look at the photos and please call us at (530) 534-9956 to schedule an appointment to take a look at it or reply via email. Thank you. minor creases at the B- and C-pillars, meant to evoke convertible top bows. a Hydra-Matic transmission for the first time. two-door sedan were added, and Traveler configurations could be ordered. List prices dropped considerably, and production numbers were much higher. boosted output to 140 hp. Even so, sales dropped to 4,325 Manhattans. America until 1962 as the Carabella. sold in the U.S. are also quite collectible due to their rarity and performance. As is, where is, forklift rotator. Must Sell! 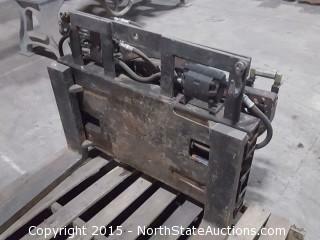 Heavy Duty Forklift Rotator removed from a working lift. Ready to bolt on and go. 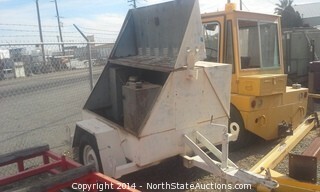 Up for sale is a 1964 Clark C50B Forklift. The unit shows 0945 hours on the meter. The forklift starts right up and runs very smoothly. Shows signs use and age which includes some rust, scratches, and scuffs. Seat is also a little worn. This is a very good reliable machine and is sure to work through anything you throw at it. I have taken photos of what I believe are angles that are important to show, but if you would like additional photos, please feel free to message us and we will get them to you ASAP. 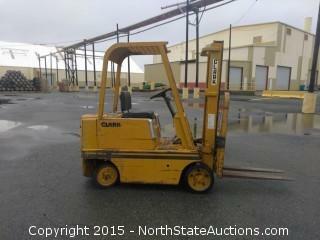 We are currently only offering local pick up on this forklift. 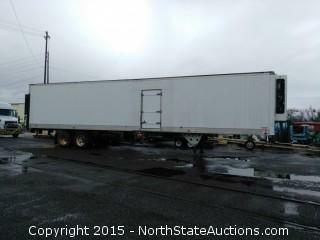 We will assist with finding a freight company for shipping if needed. 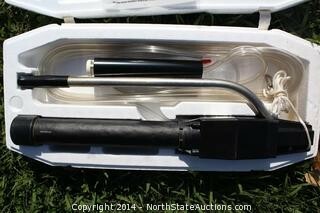 Available is a 1/2" Hydraulic Hose Reel with a 3/4" return. Manufactured by American Reeling Devices in 2000, retailed at $1,400 available at Surplus City for $750.00. 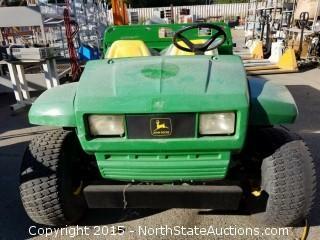 For more information please contact Surplus City at 530-534-9956. Onan generators are the Cadillac of generators! A division of Cummins, this one is 1800 rpm and just purrs. The lower RPM range on this model ensures a very long lasting power unit because of better fuel efficiency, and if that wasn't enough, it is far more quiet than others of it's class! 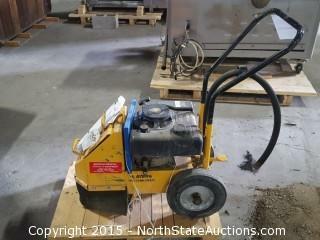 This Desalinator has never been used and is still in its original styrofoam packaging. However, it has been in storage for a few years without its yearly biocide treatment. Katadyne states that it will need a new membrane, but the hoses are all in brand-new condition. A must-have for anyone with a boat, especially sea-going; This is a hand-powered pump desalinator which uses reverse osmosis to remove salt from water. It comes with 1 laminated instruction card, and makes approximately 1.2 gallons of drinkable water an hour. It's very light weight at only 7 pounds. The instructions show how to install, treat, and clean the biocide that is needed for preservation and stop bacterial growth. The biocide should be replaced yearly. Katadyne sells these brand new for a little over $2,500.00 U.S. dollars. It's definitely RV weather. It's time to get out of the dirt and into this beautiful 5th wheel where you can enjoy luxury, refrigeration, heat, your own bed and the privacy you deserve. Page last refreshed Sun, Apr 21, 12:12pm PT.